A believer in the proverb, “Tell me and I’ll forget, show me and I may remember, involve me and I will understand,” Sandy is dedicated to having students work and learn in her classroom though observation and investigation—just as actual scientists do. Sandy grew up loving science and always wanted to be a teacher. While dissecting a cat in high school anatomy and physiology class, she made the connection between a passion for science and a desire to teach. For more than 23 years, Sandy has been sharing that passion with her students. She has enjoyed sharing her love of science with middle school students. Sandy holds a degree in elementary education from Saint Louis University and is certified in elementary education and middle school science education. She believes in helping each student to be proficient in science by performing investigations in order to make learning authentic. She works hard to incorporate STEM into the classroom by providing opportunities to develop engineering practices whereby students apply what they know about math and science to solve a problem and work collaboratively. 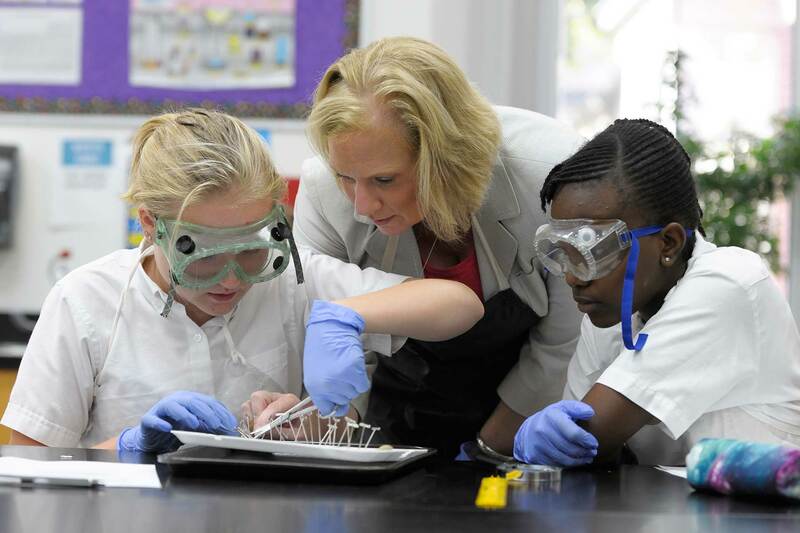 As a Sacred Heart educator, Sandy has been active with the Network of Sacred Heart Schools. 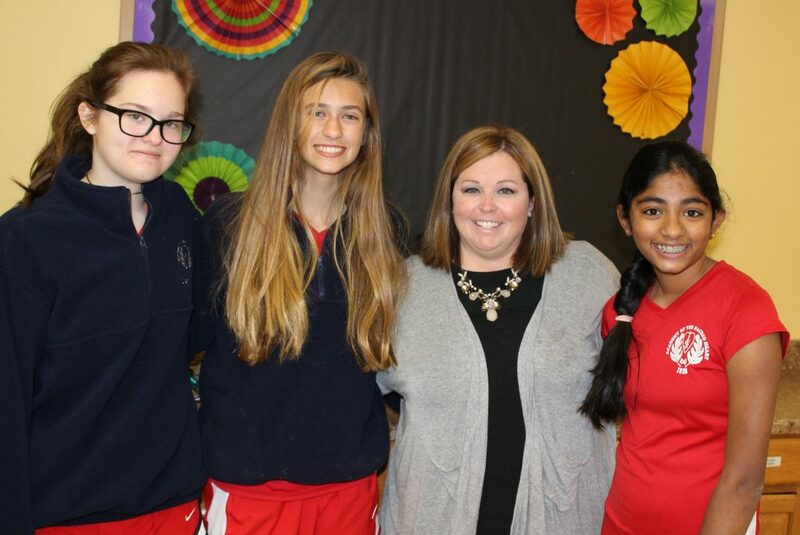 She has served as co-chair of the Sacred Heart Commission on Goals (SCHOG), a member of the SHCOG visiting team at Duchesne Academy of the Sacred Heart in Houston, chair of the Keepers of the Flame committee at ASH, and a member of the Action Plan Committee. She has also participated in Summer Network Service projects at Academy of the Sacred Heart–Bloomfield Hills, Mich., and was a member of the planning committee for the Roots that Gives Us Wings Conference held during the summer of 2017. Sandy and her husband, an Academy alumnus, have three children who are also graduates of the Academy. She enjoys spending time with her family and friends. Andrea earned a B.A. in political science from Carleton College knowing that she wanted to be either a teacher or a lawyer. Both professions included her passions: books, learning and social action. She decided to focus on law and dutifully entered law school, where she thrived. Soon after graduation, however, Andrea discovered that she was not feeling the passion she had expected to feel—the passion she had felt in law school. She missed being in a school— the smell, the books, the students and the colleagues. Thus, she turned her attention to teaching and never looked back. Andrea has worked in a variety of schools, across various disciplines, and accumulated a few degrees and certifications along the way. She holds certifications in social studies and special education and has a master’s degree in special education, learning disabilities, along with the aforementioned J.D. She is also completing a master’s degree in TESL (Teaching English as a Second Language) along with certification in TESL. These degrees reflect her love of learning, respect for diverse learners and a very curious mind. Always finding new passions and interests, Andrea hopes to pass this energy and love of learning onto her students. In addition to these professional interests, Andrea is an avid gardener. The quiet of plants balances the noise and buzz of students, her five children and two dogs. After completing a B.A. in theological studies and a B.A. in theatre performance from Saint Louis University, and spending a year on a tour bus as a Shakespearean actor, Jen spent six years as the Director of Campus Ministry for the Upper School at Visitation Academy. Following this, Jen earned an academic M.A. in theology with a certificate in Biblical study at Aquinas Institute of Theology, having explored Biblical Greek, New Testament translation, and the role of women in scripture. An experienced educator, Jen has taught students from all walks of life: underserved to affluent, ages four to 65, with a wide range of abilities. In each classroom, she strives to create an environment that values curiosity, questions, and discovery. 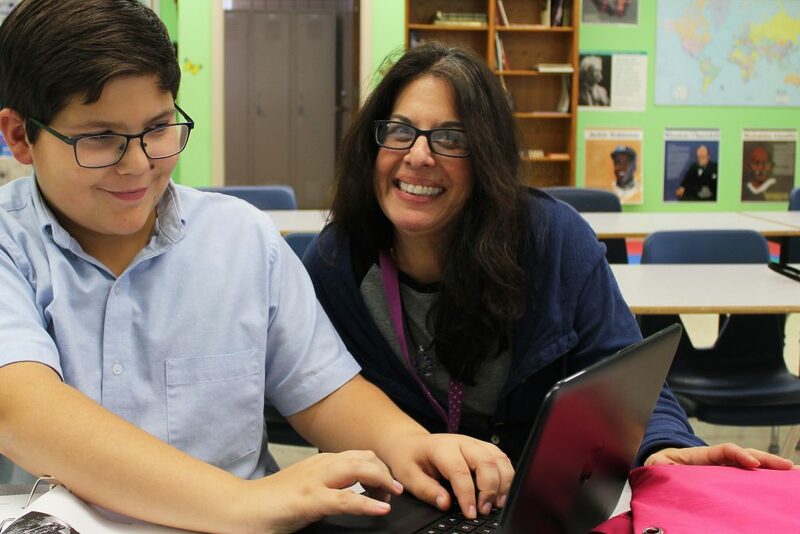 Believing that students—especially adolescent ones—live up or down to the expectations placed upon them, Jen sets high standards for her students: offering a challenging curriculum, but one that places more value on progress than product. Jen also continues to pursue an active life as a professional actor and vocalist in St. Louis and the surrounding region, and values story-telling as a method to make theological concepts take root in the personal experience of the believer. Julie dreamed of being a teacher after going on a “trip” to Africa in the first grade. Her world changed when she walked through the airport and boarded the plane. Julie remembers the classroom being a desert, rain forest, and grasslands. She can recall many things she learned and even the small details such as her job as a flight attendant. Julie wants her students to have a love of learning with fond memories, just as she did as a child. Julie has lived in the St. Louis area her entire life, with the exception of her years at Missouri State University, where she earned an undergraduate degree in elementary education with an emphasis in math. After teaching several years in an urban charter school, she decided to go back to school. Julie has earned a master’s degree in education and a specialist degree in curriculum and instruction. In her free time, Julie enjoys spending time with her family and friends, especially her two nieces and nephew. She loves going to Busch Stadium to cheer on the Cardinals, traveling, shopping, and designing crafts. Julie’s approach to teaching and learning is It’s okay to not know, but it’s not okay to not try! Originally from the UK, Catherine grew up in a small town in New Jersey only a hop, skip and jump away from Manhattan. In school she developed a lifelong love for languages, literature and travel. After earning a B.A. in German literature from Reed College she received her M.A. in European languages and literature from the University of Hawai’i at Manoa. She started her teaching career in Honolulu, first as a university instructor and then as a high school English teacher. 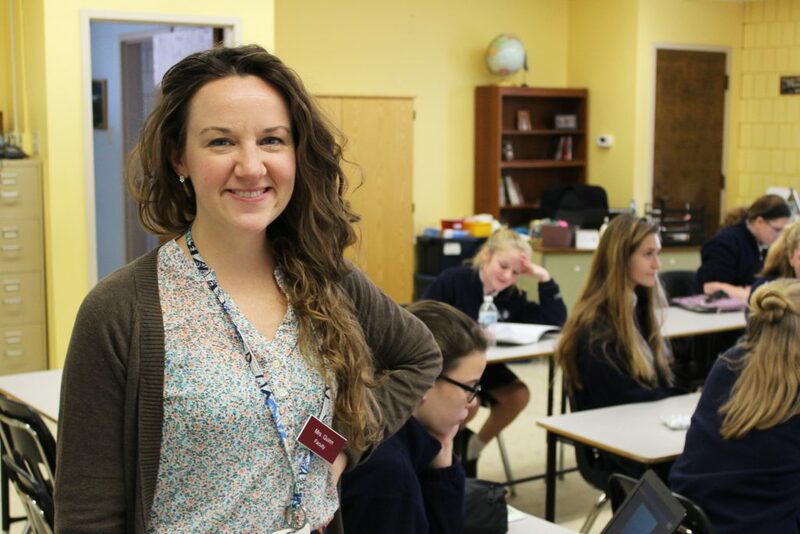 After seven years in the mid-Pacific, Catherine moved to St. Louis to teach German, French and Latin and lead the Middle School World Languages Department at MICDS. A decade later she moved to China to teach English as a Second Language at an International Baccalaureate school near Shanghai. After eight years of working overseas and traveling to as many countries as possible, Catherine returned to the Midwest to teach one of her first loves—English literature. 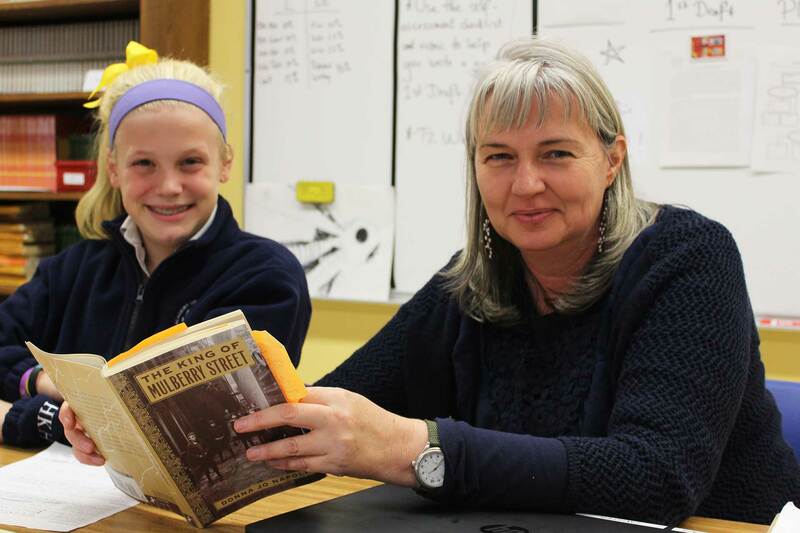 Her license from the state of Missouri qualifies her to teach ELA (Grades 5–8) and English literature (grades 9–12). She was drawn to ASH due to its strong sense of community, its dedication to educating the heart and the mind, and its emphasis on creativity. She is enjoying the challenge of getting her students to think “outside the box” and to develop a growth mindset.